With the rise of wearables like Virtual Reality (VR) and Google Glass headsets as well as smartwatches, wearable technology has proven that its place in higher education and even corporate training is perhaps just as viable as its place in entertainment. Statista.com predicts that the wearable device market will value about $12.64 million, while MarketWatch still predicts that Google Glass, which many consider to have been a failure, will still reach a projected $1 billion in sales by 2020. Once these products become more mainstream, we’ll see them in use not only in the classroom, but also in corporate learning and training environments. The 3 wearables that have the most potential for eLearning are the VR headsets, AR headsets, and smartwatches. While not necessarily traditionally considered a “wearable”, Virtual Reality is probably at the forefront of the wearable/eLearning revolution. Kentucky Fried Chicken recently revealed that they are now utilizing VR in the training of their employees. “The game is intended to supplement the existing Chicken Mastery program, not replace it … This is intended to be a fun way to celebrate the work KFC’s more than 19,000 cooks do every day in every restaurant across the U.S. in an engaging way”, said a KFC spokesperson. Nevertheless, the the benefit of the VR exercise is that is takes workers through the process of cooking chicken in just 10 minutes, as opposed to the 25 minutes it takes in real life. Not only that, they won’t be potentially wasting any product in training. KFC isn’t the only recognizable brand jumping in on the eLearning-wearable bandwagon. Walmart is planning on putting a limited number of trainees through VR-based Black Friday training with hopes to expand to every Walmart store in a couple of years, while the NFL has been utilizing VR training for their athletes since around 2014. Instead of relying on an entirely simulated reality contained in a clunky, helmet-esque pair of eye goggles, what if you could see a virtual world projected over the top of the real world, just by wearing a pair of eyeGlasses? Smartwatches such as the Apple Watch, Apple Watch Series 2, and any of the Samsung Gear offerings, have been rising in popularity over the last few years. They’re more prevalent in society than either AR or VR offerings currently, but also, unfortunately, offer the least in the way of current eLearning compatibility. Nevertheless, the potential is present. Smartwatches often act as extensions for smartphones. However, language-learning apps, for example, can be accessed less obtrusively from the wrist, as opposed to a handheld phone or tablet. What these devices lack in screen size, they make up for in portability and utility. Christopher Pappas, in his article 7 Ways Wearable Technology Could Be Used In Corporate Training, mentions that the hands-free and ever-present nature of smartwatches could significantly reduce training costs and contribute to further efficiency in use of company resources. “Instead of spending days getting familiar with the products and services, new hires can view all of the information on their smartwatches”, writes Pappas. As it turns out, having an informative, hands-free display that’s only a flick-of-the-wrist away could be convenient enough to relay information while maintaining and perhaps even increasing worker productivity. 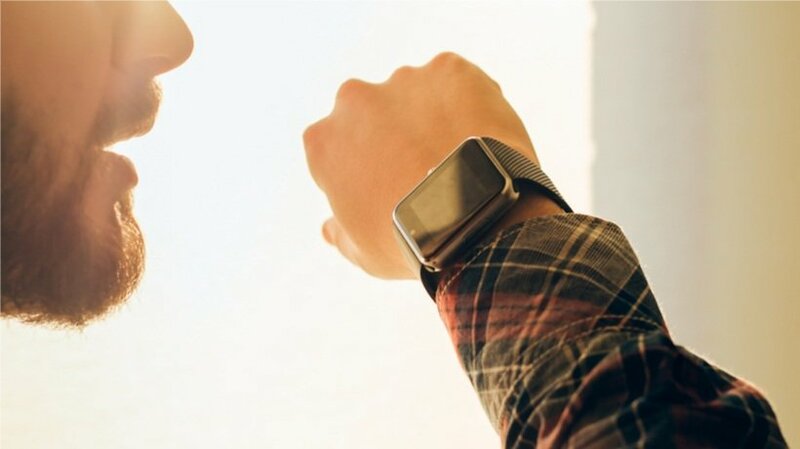 Of course, as time goes on we’ll only see more and more new use for wearable technology in eLearning, as well as new technology that influences the wearables sphere in general. While smartwatches represent great promise in bite-sized and ever-present learning, AR and VR are on the verge of revolutionizing in-depth and immersive learning. Time will tell how broadly these technologies influence eLearning — but if the present is any indicator, the future is looking bright.